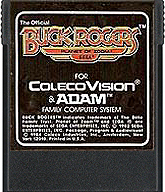 ColecoVision.dk presents: Buck Rogers © 1984 by: Sega Enterprises Inc.
Game Name: Buck Rogers "The Planet Of Zoom"
ColecoVision Game Programmed by: Unknown, Coleco Inc.
ColecoVision GFX Programmed by: Unknown, Coleco Inc.
ColecoVision SFX Programmed by: Unknown, Coleco Inc.
ColecoVision Manual # and Manufacturer: 60-261501-71, 2L 2441 CBS Electronics / 14352 U.S.A.
ColecoVision Box # and Manufacturer: 3P 3003, 60.261501.70, 73-350C, 5 010779, 743508 Holland / 0 76930 20536 U.S.A. The Buck Rogers fighter is at your command !. Follow the Buck Rogers Chronicle in battling Ruthless aliens who are trying to take control of the planet of Zoom !. Follow his words, listen to his advice, make use of his experience ! It's now up to you to prove you're worthy to follow in his path !. High Score For The ColecoVision Version Of: Buck Rogers, Skill level: 1. 1st XName: Tom Duncan. 1st XName: ed1475. 1st XName: Ole Nielsen. 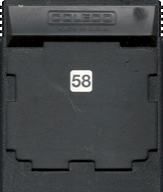 XScore: 395.082 - March 23, 2005. XScore: 435.319 - May 12, 2011. XScore: 15.916 - September 24, 2008. 2nd XName: Troy Whelan. 2nd XName: ed1475. 2nd Name: Ole Nielsen. XScore: 281.982 - February 22, 2005. XScore: 375.293 - February 01, 2009 XScore: 8.201 - April 07, 2008. 3rd XName: Curtis Hepworth. 3rd XName: LaserHawk. 3rd Name: Ole Nielsen. XScore: 51.337 - June 11, 2004. XScore: 101.270 - February 03, 2009. XScore: 5.691 - September 18, 2010. 4th XName: James Carter. 4th XName: JacobZu7zu7. 4th Name: Ole Nielsen. High Score For The ColecoVision Version Of: Buck Rogers, Skill Level: 2. Name: Tom Duncan. Name: DuggerVideoGames. XName: Ole Nielsen. Name: Troy Whelan. Name: ed1475. Name: Ole Nielsen. Name: James Carter. Name: Northcoastgamer. Name: Ole Nielsen. Name: Name: jblenkle. Name: Ole Nielsen. High Score For The ColecoVision Version Of: Buck Rogers, Skill Level: 3. XName: Troy Whelan. XName: Name: Ole Nielsen. 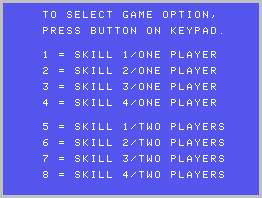 High Score For The ColecoVision Version Of: Buck Rogers, Skill Level: 4. XName: James Carter. XName: Name: Ole Nielsen. 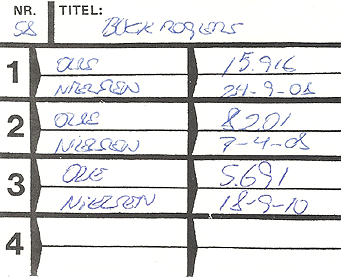 ColecoVision.dk Game # 58, Buck Rogers is last updated: March 24, 2019.